It’s another Man Food Friday here. 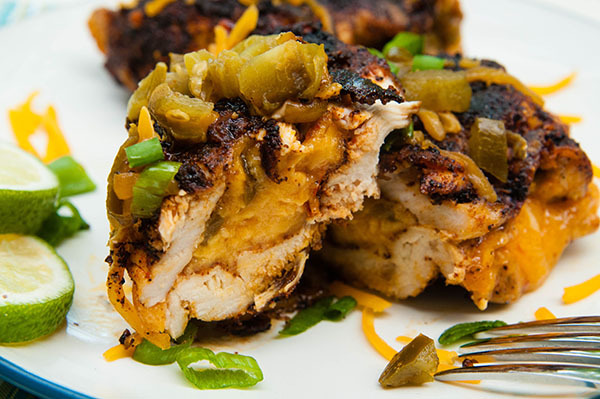 This Southwest Jalapeno Cheddar Stuffed Chicken is so good. It’s super easy which is so needed with the crazy phase that the Goose is in these days. 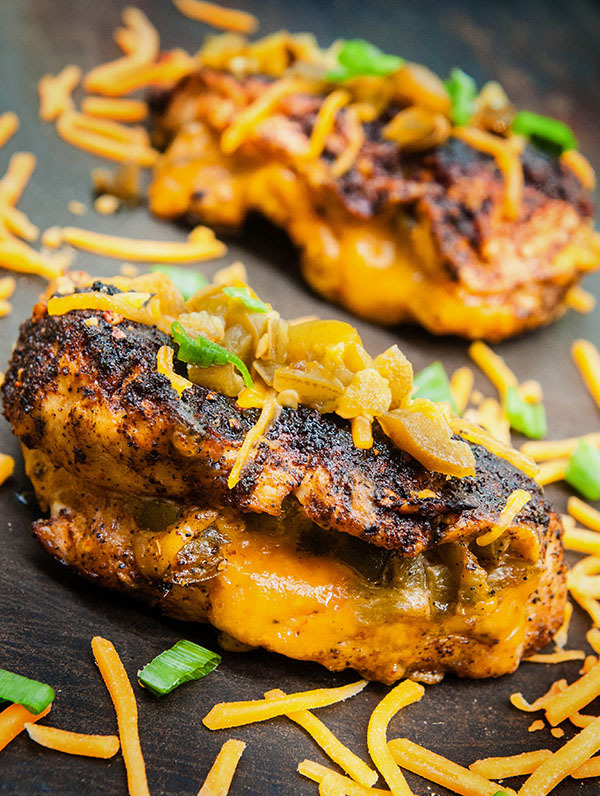 More about that another day… For now, enjoy these cheesy, spicy, blackened chicken breasts. So this week was interesting. Our daughter has been in a mood this week. She has been sleeping for shorter lengths. Her appetite has been finicky at best. She’s upset she’s 1 year and 10 months old I guess. Needless to say, it has been hard to keep her happy and get together while I prepared a recipe for this week. 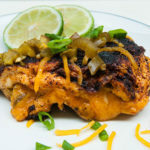 Thankfully, Southwest Jalapeno and Cheddar Stuffed Chicken is easy and amazingly good. 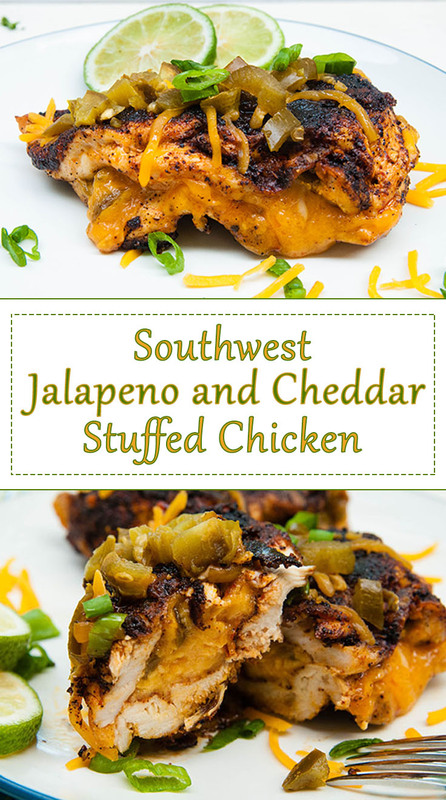 Backstory on these Southwest Jalapeno Cheddar Stuffed Chicken, Jenna and I have been making them for some time now. They are no stress-easy. And ease of making them was crucial this week! Screams and points erratically at an unidentifiable object. Pointing emphatically – she screams more. I couldn’t win. So I did what any good parent would do, I ignored her. And I stuffed that chicken as fast as possible. Ten minutes – that’s all it took. Our daughter screaming all the while at my feet. By the time I was done prepping the chicken, the pan was hot as was the oven. I threw the chicken on the pan, and I escorted our daughter out of the room. (AKA picked up a flailing, flopping, flipped out rag doll of a daughter and carried her to the living room where I attempted to show her some books to calm her down). The chicken seared beautifully in a few minutes. I finished cooking the stuffed chicken in the oven. All in all, it took just under 30 minutes to make. 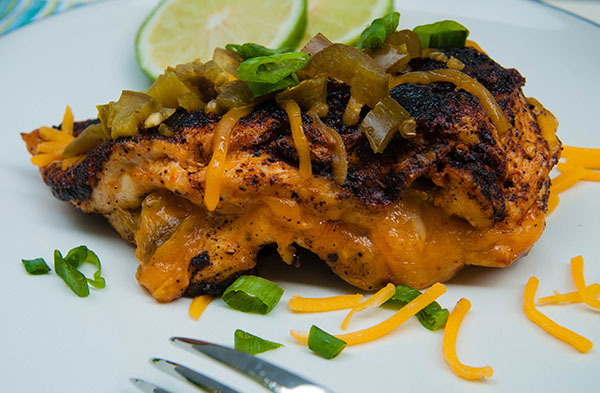 These chicken breasts are melt in your mouth good – tender, spicy, and cheesy. 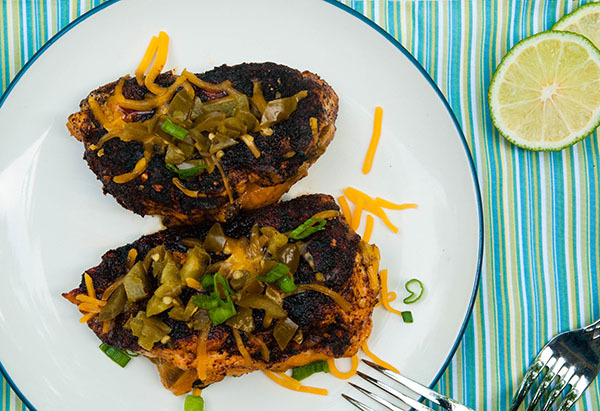 Who doesn’t like cheddar and jalapeno stuffed chicken? OK – maybe not everyone – I had to try it on our daughter who only minutes before spit out one of her favorite snacks, GoldFish crackers. Daring and reckless as always, I cut her a small piece with lots of cheese. As the cheesy chicken neared her mouth, she grabbed the fork from my hand. How dare I have the nerve to feed her? As is typical, she paused before putting it in her mouth to blow on it. Then into her mouth went the chicken. She looked shocked at first (mind you these are spicy). After the initial surprise, she seemed to enjoy it. I cut her some more. She ate with no argument. Experiment success. So once again, I bring you chicken that is toddler approved. For some other toddler approved*, spicy recipes, check out our Grilled Buffalo Chicken Wings and Cranberry Barbecue Ribs. *(Toddler must like spicy food – not responsible if your toddler does not actually like spicy food. 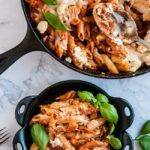 Surprising as it may be, no toddler or parent was hurt during the making of this recipe). Preheat oven to 350 and preheat pan to medium-high heat. Combine all spices, 1/8 cup olive oil, Frank’s Red Hot, and salt in small bowl. Whisk with a fork until well combined. Rub the spice mixture all over top, bottom, and inside of the chicken breasts. 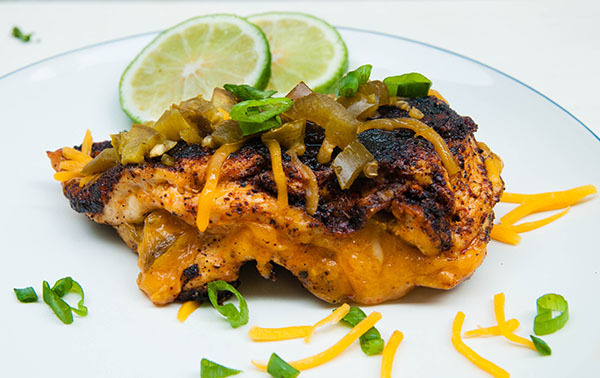 Fold the chicken back together, “sealing” the cheese and jalapenos in as best as possible. Use toothpicks to hold the top and bottom together by poking through each side. Sear each side of the chicken for 3 -4 minutes. 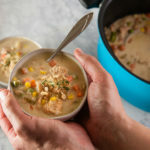 Place chicken in an oven safe pan and bake for 15 – 20 minutes or until the chicken reaches a safe internal temperature. Haha I know I am just around the corner for that situation. My granddaughter is 13 months old and I babysit. 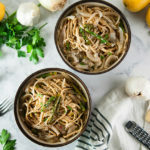 This looks so wonderful – and a nice little spicy bite to it!!!! If “toddler who likes spicy food” ate this, maybe I can get husband who freaks out at the idea of spicy will try this because of the gooey-ness of the cheese. Your photos are great—despite the raging toddler at your feet! Toddlers can be so difficult… Good job creating recipes she’ll eat, though! What a great idea. This sounds so yummy. Definitely try this out. This looks amazing! 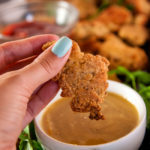 I’m always looking for new ways to spice up chicken! OMG!! I think I’m in love!! I love anything with jalapenos!! Wow, the chicken looks perfectly cooked despite of babysitting. I must try this for the weekend, thanks for sharing. Okay, this looks amazing! I so want to eat this. My hubby would love to come home to this meal. He loves jalapeno in his dishes, but I don’t spice up our meals very often. I think it’s time to treat him. Mmmm, this chicken sounds so good!! 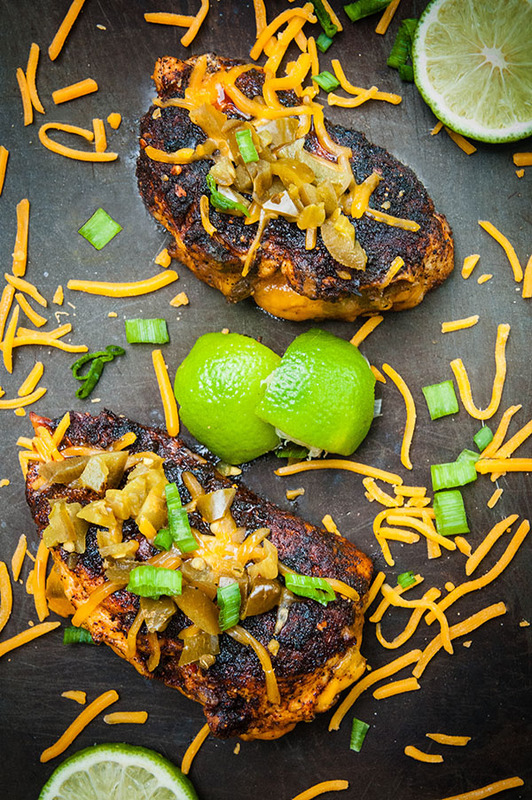 We love trying stuffed chicken recipes–we usually make chicken stuffed with rice but we totally wanna try your recipe with jalapeno and cheddar! Oh I hope you do and that you love it!